The web browsers are no longer strictly used to browse web pages. They are today competing to offer us the best tool to extract knowledge from the web pages, to make the browsing an amusing experience, and to enable us to personalize our own browsing environment. Although, I bet a lot of us are not aware of what these browsers are capable of doing. I’ve been a Computer Science student for almost seven years now. I pass almost all my time in front of the computer. In addition to getting a neck pain, I got the chance to try out several web browsers and a ton of their extensions. 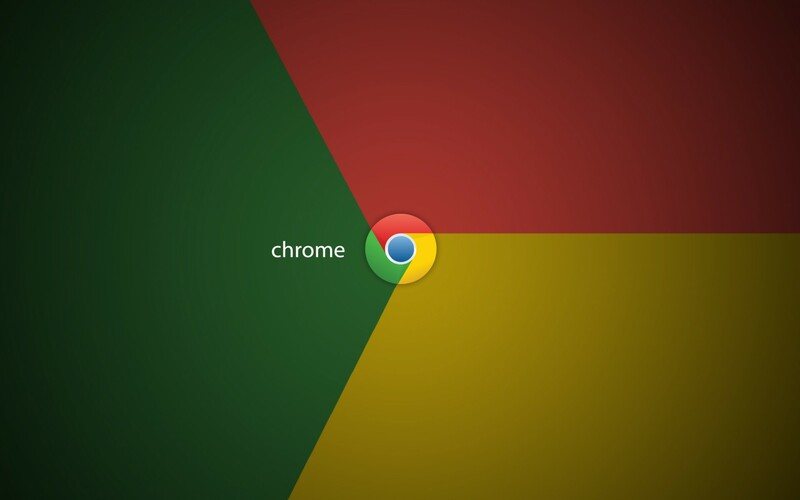 In this post, I’ll take you through my best Google Chrome extensions. I’ve been installing for each purpose all the top available rated/downloaded extensions, then deleting all of them except the best one, according to my needs and flavor. I gather this experience in one plate and share it happily with you, enjoy! The list below is presented without a preference order. All the extensions are free, or at least for the presented features. It is not intended by any means to promote any brand over another. It is not meant to recommend Chrome over other browsers. I categorize the extensions in three families (1) General-purpose extensions, (2) Research extensions (3) and Development extensions. This extension is truly awesome for taking screenshots. It can do all what you can imagine in capturing and annotating your screen, inside and even outside your browser. Inside the browser, you can capture all the browsed page, the visible part of it, or only a selected part of it. A nice in-browser shot-taking feature is the ability to take a delayed shot. This has been added to make it possible showing a drop-down menu in the shot — which cannot be shown otherwise as the menu disappears once you click on your mouse (for capturing). Outside the browser, you can take a screenshot of any open window, say the explorer (in Windows) or Skype. Not only that, you can select/drag-n-drop an image from the local disk. After capturing the screen, or loading a local image, you can use the annotation palette to draw on the image. Awesome Screenshotextension comes with a (Chrome desktop) application providing a richer annotation palette. After you finish, you choose between saving your image to the cloud or locally. If you opt for the cloud, you can subsequently share the image via email or share it to some social networks. This extension makes (a better) use of your new-tab page. Instead of a blank or the default one, using this extension you can pin thumbnails of websites of your choice, like the ones you visit frequently. It leverages your history to show you statistics about the visited websites and presents them via a nice pie chart. The appearance of the extension (thumbnails and background) is highly customizable. Additionally, Speed Dial 2 lists you the last closed tabs as well as all the installed Chrome applications. You open too many tabs and find yourself unable to manage them and feel you can’t close any? (you really can’t?!) this extension is made for you. With one click, you can save the entire window, name it, and restore it later. After saving the window, you are able to add or remove tabs from it. Bonus tip. While clicking on Ctrl key, select all tabs talking about a similar topic, say Sport, then, grab them down. This will create a new window with only the selected tabs — you can create as many windows as you wish. Now, you save the windows using Tabs Saver and have a categorized view of your tabs. In some cases, you want to popup a page and keep it on-top while switching to other tabs. Imagine you are for example searching for apartments near to the university and to some facilities. You popup the results page where results are presented in a map, then open each offer in a separate tab. While keeping your eye on the map, switch between the other tabs to compare the different offers considering their distance to the university and to some facilities. Another use-case would be watching a YouTube video while doing other stuff. Note. In the time of writing this post, it is required to enable Panels flag from Chrome flags page — which is disabled by default — in order for the extension to work (see the extension). For those using Google Calendar, this extension helps to keep a close eye on the imminent events. The icon of the extension shows the time remaining to the next event. This decreases the chances you forget your meetings and appointments. Additionally, you can create a new Google Calendar event right from within the extension. The simplest but the best way of taking note I’ve found so far. After trying almost all to-do lists and notes extensions available on Chrome Web Store, I realized that what I needed wasn’t really a sophisticated extension with a cloud account and a fancy design. All I needed was a quick page that I can call very quickly and start noting down my ideas (before losing them), contact information, and findings from the web. Of course, I do use an application for note taking and to-do lists but for big and medium projects, but for quick notes, Simple Notepad was just enough. Indeed, it is very good habit to highlight keywords and salient phrases within a text document. This extension brings text highlighting capability from standard text document to webpages. In addition to highlighting, you can also write sticky notes. The annotations and notes are saved in your Diigo account so you can restore and resume them at any time. Offered by Google Translate, this extension translates texts in the webpage. You simply select a word, or a limited number of words, to see Google Translate logo appeared next to the selection. Click on the logo to see the translation of the selection as well as options to pronounce the original and translated text, and to change the source language. The reason I searched for such extension is the need for a simple way to save tabs from one computer and restore them later on from another computer. The tabs are saved in a simple human-readable format that can be easily sent or ported as-is. Back to users who open too many tabs and use only few of them at a time. Know that the other tabs would hold unnecessarily your computer memory. Luckily, few extensions have been developed to save this memory leak. What this extension does is quite simple, it suspends the pages that have not been visited within a threshold that you specify. It loads, instead, a simplistic page containing only a title of and a hyperlink to the original page. You can set a deeper control over what and when to suspend. For example, set a page not to be suspended, ask not to suspend pages with unsaved form inputs, ask to suspend tabs only when you are connected to the internet, etc. Social media are cool, they are recreating genuinely and ingeniously our real life experience in our computers and PDAs. But let’s be honest, they are taking too much of our time, including unfortunately working time. Developing tools to help overcome our addiction to these social networks is paramount.StayFocused is a solution right from within the browser. You set yourself a period of time after which websites in blocked list are blocked for all the rest of the day. More restricted control option called Nuclear Option using which you block access to the entire Internet, excluding websites from allowed list, for as many hours as you specify. If you think, like me, that the built-in bookmark manager of Google Chrome still belongs to the middle ages, go get this extension and make the change. Surprisingly, the extension is developed by Google itself, what gives me the impression Google is trying a new version of its bookmark manager in form of an extension to see whether it gains success, so it replaces the old one in future updates. Bookmark Manager really revives in you the mood of bookmarks organization, and of bookmarking if you’ve given it up long time ago. It comes with a lovely completely modernized design, and easy ways to organize: multiple selection, drag-n-drop, preview of the bookmarked webpages, description of folders, etc. It even brings new features that we are not used to in bookmark management, such as: sharing folders, searching within the bookmarks — taking advantage of Google experience, suggestion of folders’ names, etc. What is the job title of your correspondents (in Gmail) and the organization they work for? What is their location? their photos, websites and social networks profiles? even their last posts in some social networks? Can you imagine you can get all these, and possibly more, just near to the email you’ve received from them? In fact, FullContact doesn’t own this information, but rather retrieves them, using the email by which they’ve contacted you, from the public content published by the correspondents themselves. The key advantage is that with knowing more about your correspondent, you can build more productive relationships. Further quick but very useful actions you can right near to the received email: adding an invite to meet your correspondents using Google Calendar, writing notes about them, copying their email address to the clipboard, etc. Note. This extension cannot be integrated with Google Inbox in the moment of writing this post, even though, a huge demand is right know on making this integration. Another extension for Gmail isMailTrack. It notifies you whenever your correspondent read your email. A dashboard is in your disposal to show you which emails have been read, how long ago, how many times and which devices have been used to read them, and which emails haven’t been read yet. Note. Similarly, this extension doesn’t work with Google Inbox. See the image in its real size without opening a new page with just hovering over it. It is really helpful when browsing a gallery of images, like Google Images results, where images are represented by their small thumbnails. As my community is full of researchers, I also include this extension in my best-of list. It is provided by Google and uses Google Scholars database to search for scientific publications. All you need is to copy to clipboard the title of the publication, or just select it from a webpage, then click on the extension button. The extension searches for the copied, or selected, text in Google Scholars and presents you results. Results list shows the title of the publication, its number of citations, a link to download it, and a button to obtain its reference in different formats: plain text, BibTeX, EndNote, RefMan and RefWorks. For web developers and designers, this extension adds a vertical and an horizontal ruler to the browser. You make a selection (of an image for example) using the mouse, and the extension calculates for you the dimensions (width and height) of the selection as well a the distances from the selection to the four sides of the screen, all in pixel. This extension gets you the color of any point from the webpage in all the common formats: hexadecimal, RGB and HSV. The history of the picked colors is kept so you can get back to a previously picked color at any time. Additionally, there is a shortcut to a website, offered by the extension’s editor, that generates for you very nice CSS gradients. ARC, for App Runtime for Chrome,is a Google project aiming to allow Android apps to run on Chrome OS. This extension is created to test and publish Android applications on Chrome OS using the ARC. To test your application, run the extension and load the application’s APK file. You can next pack the application to a ZIP file and upload it to the Chrome Web Store. Of course, not everything will work as it is in the phone, like games that only work by moving the phone. In the time of this writing, the ARC is in beta version. It’s often said that extensions eat up memory, this is correct. Thus, depending on your available resources, you may choose your priorities from the suggested extensions. Last but not least, I’m really thankful to all developers behind these browsers, for creating them and for allowing other genius from all around world to spread their creativity to us. Really, they are making our (virtual) world a more worth living in place.